Gifts in a Jar | Cook It Quick! Cranberry-Oatmeal Cookie Mix. Notice how the covering is placed on top on of the canning jar in this picture and held in place with a rubber band, covered with a pretty ribbon and bow. While you’re making up jars of this cookie mix, make a few extra for yourself! Obtain the recipe for this mix in Mix It Up (to Expand Your Holiday Gift-Giving) Food Mixes in a Jar by Julie Garden-Robinson, North Dakota State University Extension Food & Nutrition Specialist. Check that the baking soda you use in this cookie mix isn’t past its expiration date! For best flavor, use this mix within nine months. 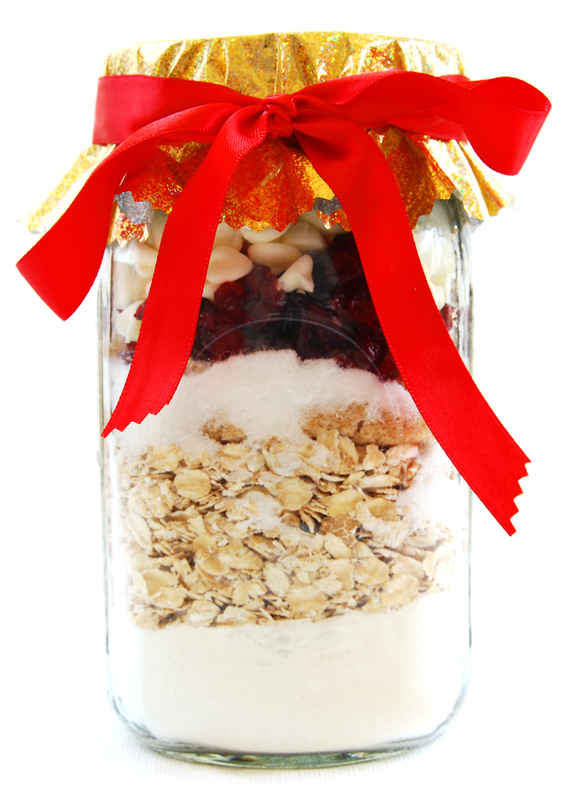 For tips on making baking mixes in a jar, check out my PowerPoint on Food Mixes in a Jar. Country Chili Mix. In contrast to the cookie mix, the covering for this jar is placed under the band. I found it easier to distribute the material around the lid using this method. There’s something about the flavor and aroma of homemade chili that is hard to beat! And this chili definitely satisfies! The recipe for this chili, plus recipes for a Homemade Cornbread Mix and a Friendship Soup Mix are also found in Mix It Up (to Expand Your Holiday Gift-Giving) Food Mixes in a Jar. 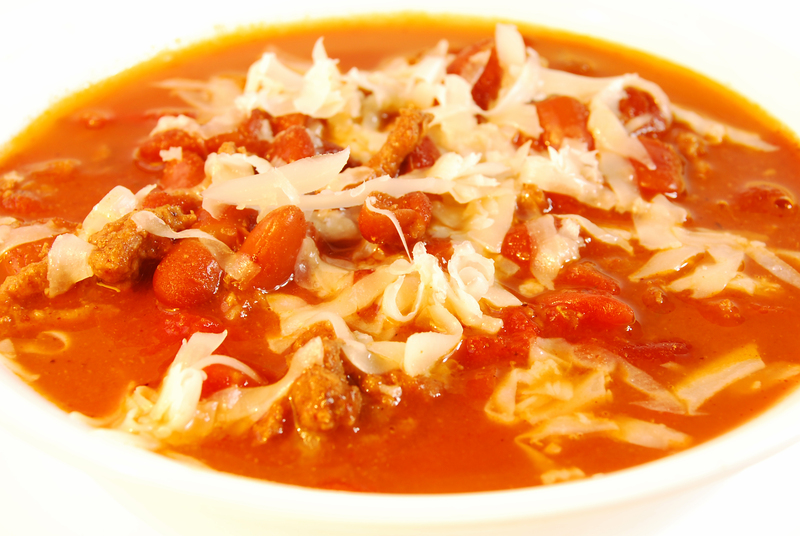 Imagine your friend (or yourself) enjoying a big bowl of this chili, perhaps topped with some grated, sharp cheese! Give friends a cup of holiday cheer with beverage mixes. 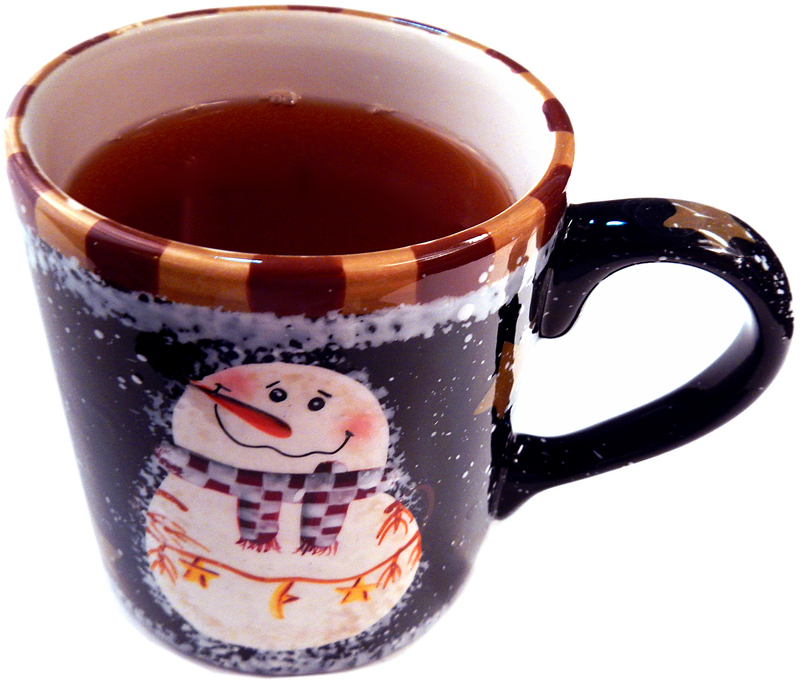 This sweet, spicy tea will put you in a holiday mood! 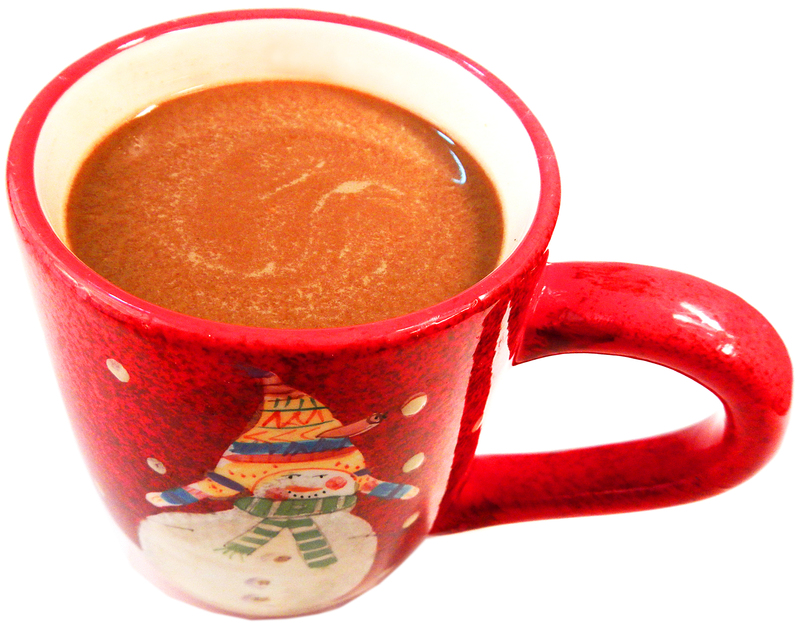 A cup of this hot cocoa is perfect after a chilly afternoon of sledding, or ice-skating, or making snowmen. Or, after a busy day of hitting the after-holiday sales. Find this recipe, plus two other beverage mixes (French Vanilla Coffee Mix and Mint Candy Coffee Mix) in Beverage Mixes in a Jar. 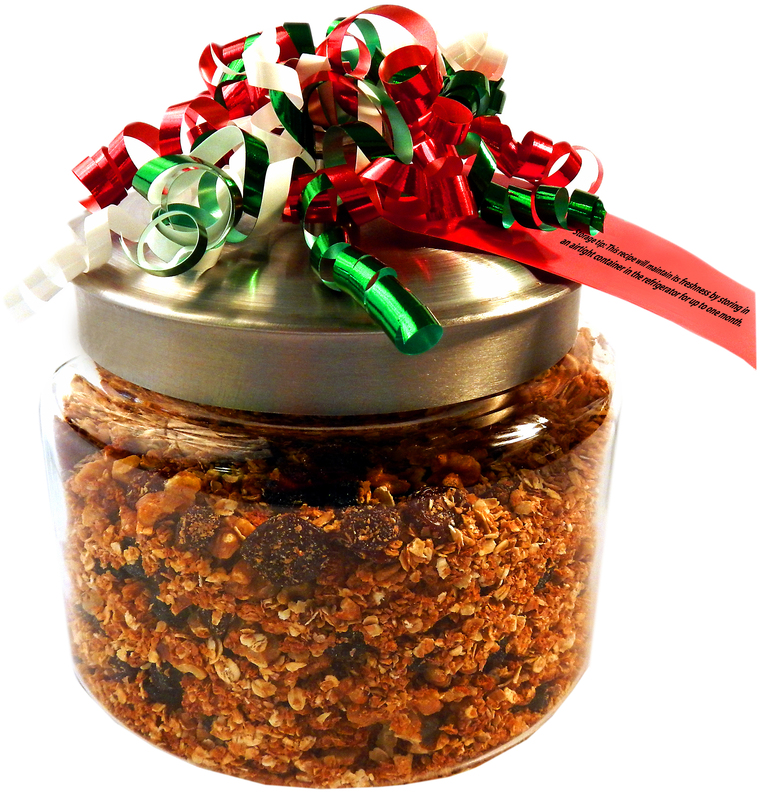 Foods, like homemade granola, are another great food gift. I like this recipe for California Walnut Granola from the California Walnut Commission. Walnuts are especially high in heart-healthy polyunsaturated fats and are unique among nuts as they contain the highest amount of alpha-linolenic acid (ALA), a plant-based omega-3 essential fatty acid. Storage tip: This recipe will maintain its freshness by storing in an airtight container in the refrigerator for up to one month. California Walnut Granola. 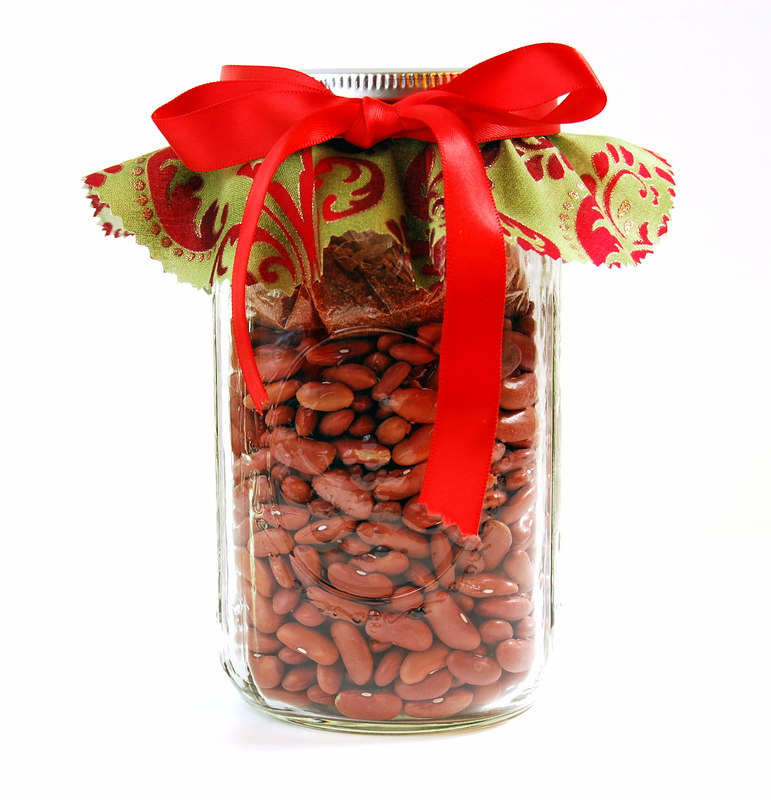 When you give this gift, encourage the recipient to eat it while it is the most tasty, by attaching the following tip: Storage tip: This recipe will maintain its freshness by storing in an airtight container in the refrigerator for up to one month.